The newly announced wearable BACtrack Skyn comes with Apple Watch strap options, allowing a user to easily check their blood alcohol content from their wrist on the go. The BACtrack's new Skyn model comes with both a wristband and also Apple Watch strap options, and it's expected to cost roughly $99 when it hits the market in the second or third quarter of this year. 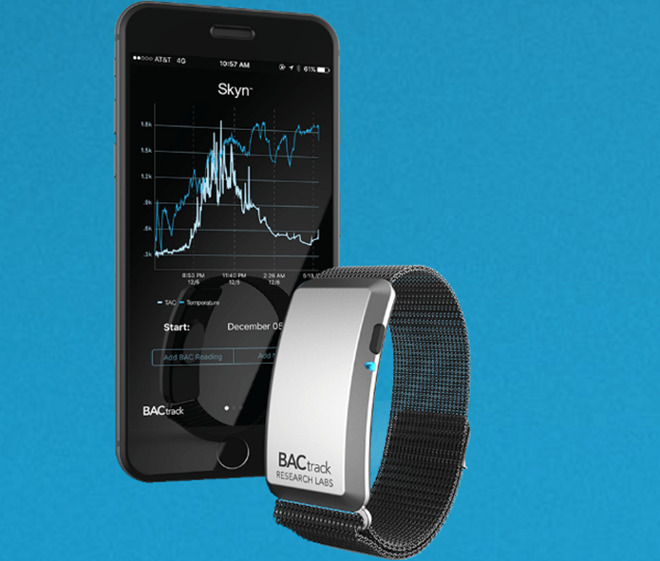 BACtrack Skyn can help users not only track their blood alcohol content "passively, accurately and near real-time," but also give them a glimpse of how their body metabolizes alcohol and when they are within sobriety range again. Users can also set an alarm or a vibration to be notified when their BAC is above the legal limit. Generally, the wearable will show users how their blood alcohol content is changing while they drink, and can gives an idea of where their levels will end up after their last drink. According to the BACtrack team, this real-time monitoring could allow for many new research and treatment opportunities. The company believes its more automated hardware will provide more reliable data than existing methods, which require self reporting and breath tests. The BACtrack Skyn can also track usage of an additional person. This week's announcement at CES did not mention support for Apple HealthKit, but the BACtrack app and previous hardware do integrate with HealthKit. 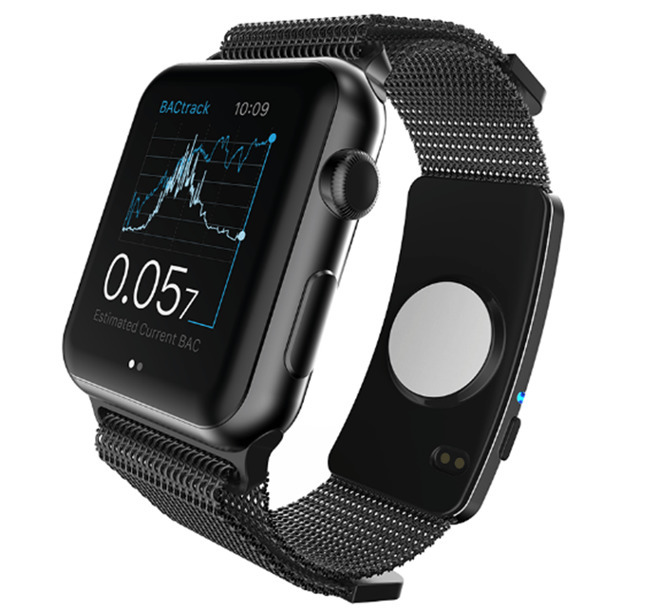 The company's existing portable iPhone- and HealthKit-connected BAC level monitor, the BACtrack Mobile Smartphone Breathalyzer, was reviewed by AppleInsider. We were surprised by how deep the iPhone integration was implemented.